The Cooper name has a proud and storied heritage that goes back nearly a century to 1914, when brothers-in-law John F. Schaefer and Claude E. Hart purchased M and M Manufacturing Company in Akron, producing tire patches, tire cement and tire repair kits. A year later, Schaefer and Hart purchased The Giant Tire & Rubber Company of Akron, a tire rebuilding business, and two years later moved the business to Findlay, Ohio. The firm changed its name to Cooper Tire & Rubber Company in 1946 and by July 11, 1960, the company became a publicly held corporation and was listed on the New York Stock Exchange. Throughout the next five decades, the company expanded its products, manufacturing plants, distribution system and marketplace. The company joined the ranks of Fortune 500 companies in 1983 as one of the largest industrial companies in the United States. Net sales reached $1 billion in 1991. By 1999, Cooper had 50 manufacturing facilities in nine countries. Much of the company's growth came through the acquisition of The Standard Products Company, a move that added 10,000 employees to its payroll. 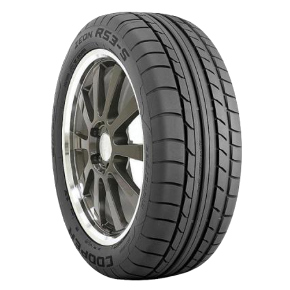 Cooper Zeon RS3-S tires are the latest ultra high performance summer tire within the Cooper performance family. Its low-profile, high performance rating combines world-class dry road traction, handling and cornering with outstanding appearance. The tread compounds are specifically formulated to combine dry and wet traction with crisp handling and high speed capabilities. 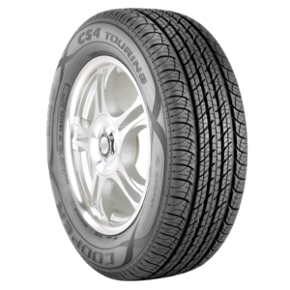 Cooper CS4 Touring tires are a premium luxury touring tire designed for drivers who want optimum ride comfort, sporty handling, all-season traction and attractive styling in a touring tire. 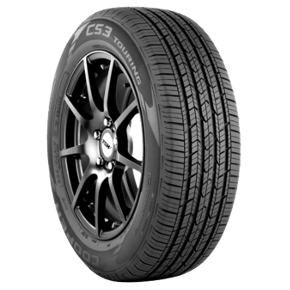 Cooper CS3 Touring tires, with Stabiledge Technology are the newest addition to the Cooper Tire passenger line. The CS3 provides all-season performance with premium features without the premium price. Cooper Lifeliner GLS tires are Cooper's first all-season touring tire line designed for consumers looking for touring performance in a moderately-priced tire. 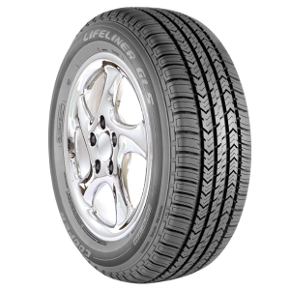 The Lifeliner GLS fits a wide range of automobiles requiring a speed rated touring tire, both foreign and domestic. 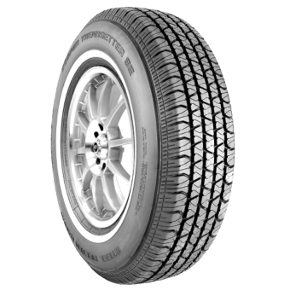 Cooper Trendsetter SE tires are Cooper's entry level all-season tire line targeted to the value-oriented consumer. The affordably priced Trendsetter SE is available in sizes that fit a wide range of older to later model automobiles. 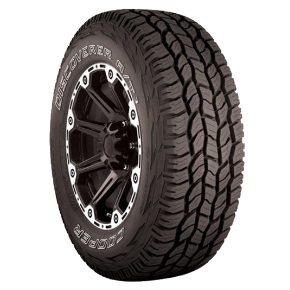 Cooper Discoverer A/T3 tires utilize a balanced combination of technology, compounding and design to produce a tire that will perform well in nearly all types of terrains. The tread compound enhances wet traction and reduces rolling resistance, while the aggressive tread design significantly improves off-road traction without sacrificing highway performance. 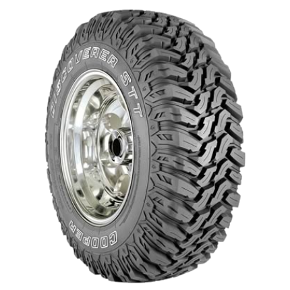 Cooper Discoverer STT tires are Cooper's premium high-void, off-road light truck traction tire designed for drivers who want the utmost in off-road traction. It is offered in a wide range of commercial and large diameter flotation sizes. 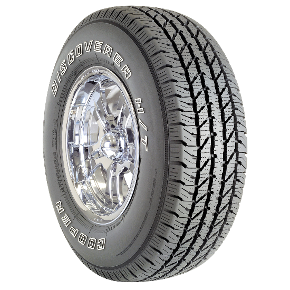 Cooper Discoverer H/T tires are Cooper's premium touring SUV / light truck original equipment replacement tire. It is designed for drivers who want ride comfort, all-season traction and a premium warranty in a highway touring tire.